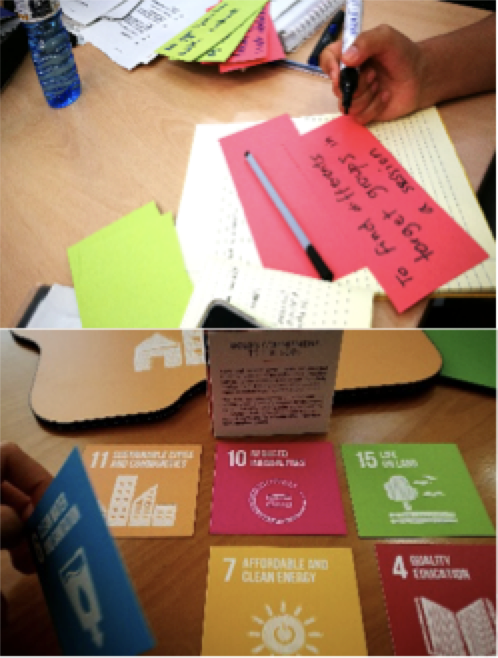 The two-day training of trainers Workshop on “Localizing the SDGs”, on 25th and 26th of May 2017 organized by the UCLG World Secretariat, was used to interchange about experience on localizing SDGs and to introduce the newly developed SDG toolkit. Dynamic methods, especially moderation and facilitation skills were practiced and fostered by all 20 participants from Africa, Asia, Middle East and Europe. The main outcome was an up-coming workshop planned with a detailed agenda and methodology. The localization of the SDGs and the urban agenda has been our motto since their formulation. 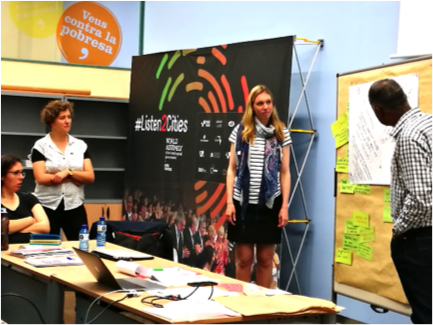 UCLG through the Global Taskforce and, together with UN Habitat and UNDP agencies, has developed a series of tools for local governments and their associations. Thereby, localizing is not the parachuting of global goals into local context but it is linking our own agenda reflected in the Bogota Commitment with the global agenda. Thus, making localizing an inspiring effort. As a key part of our strategy on localization, we facilitate learning among local governments. To introduce the topic, on the first day of the workshop participants gave presentations on topics such as the importance of localizing SDGs, enabling environment, awareness raising and the importance of advocacy. Those presentations were not only targeted to communicate the contents, but also to gain more experience in presenting and facilitating. It was very interesting to see the different “delivering styles”, which also depend on intercultural matters. Especially interesting and motivating was the presentation of an example on implementation of SDGs in KwaZulu-Natal (the region around Durban) by Sogendra Moodley, Director of the Municipal Institute of Learning (MILE) in South Africa. There, SDGs are implemented by ensuring that the Provincial Goals and Strategic Objectives are totally aligned with the SDGs, establishing and maintaining a direct line of sight to the SDGs. Through this embedment process within the Long Term Plan and Integrated Development Plan, which drives the way the city prioritizes development, budget and measures its performance, every plan owner within the municipality is now charged with ensuring that each plan, program or project aligns with the council’s Integrated Development Plan. This is a very successful example of aligning SDGs to local and regional policies and triggered a very vivid discussion among our workshop participants. This example as well as other achievements from the regional coordinators and work in process was for all participants and the active learning experience very valuable, especially to understand challenges and opportunities. Najat Zarrouk, Director of the African Local Governments Academy (ALGA), presented their strategic plan 2017-2021. They tackle and address different blocks of challenges and act as a strategic lever for the professionalization and the performance at African local level. The keystone to build African Unity and driving African development through grassroots means investing in local human capital through education, training, learning, capacity building and empowering. For doing so, ALGA focuses especially on an innovative training offer through a professional Masters for local managers. Emine Gökçe Yanik, Project officer at UCLG MEWA, presented their activities inside their organization in regards to the topic of localizing SDGs. Arief Mulya Ramadhian, Program Development Specialist at UCLG ASPAC, explained that their work focuses on five main areas: 1) to connect local governments to development actors to explore partnership and to learn from global/regional platforms, 2) to assess rapidly on what the best way for local governments is to communicate on SDGs, 3) activities on promotion, 4) capacity building and 5) to development a roadmap on SDG goals. Apart from sharing experiences from different local contexts, different exercises of the SDG toolkit were used to train soft skills and team work. Those working sessions were used to elaborate a detailed agenda and methodology for up-coming workshops on the topic. In general, the toolkit is directed at trainers and facilitators in the topic of localizing SDGs to support when planning a workshop. It gives valuable inputs on how to facilitate different contents and examples for group exercises. This way, the planning of a workshop gets easier and trainers create common knowledge and communicate the same messages. The workshop was also used to receive feedback towards the toolkit and exercises in order to further elaborate and improve it. 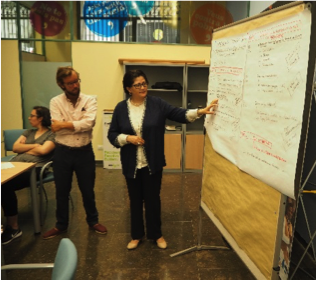 A second edition of “training of trainers” was held on 15-16 of June in Spanish, together with the Province of Barcelona and hosted by CIDOB. Exercises and presentations were shorter as all participants in the previous session highlighted the need for skills for trainers, especially on moderation and presentation. Thus, this training of trainers focused more on these capacities. In summary, the two-day workshop was very successful and a good mix of content, sharing experience and methods. All participants were very satisfied and valued the most to share their knowledge and narratives. The main output of the workshop on localizing SDGs was working on the planning of workshops in the next few weeks and months and to strengthen capacities of trainers and moderators. Now, this train will go to different cities where our trained trainers and facilitators will pass on the knowledge on localizing SDGs.